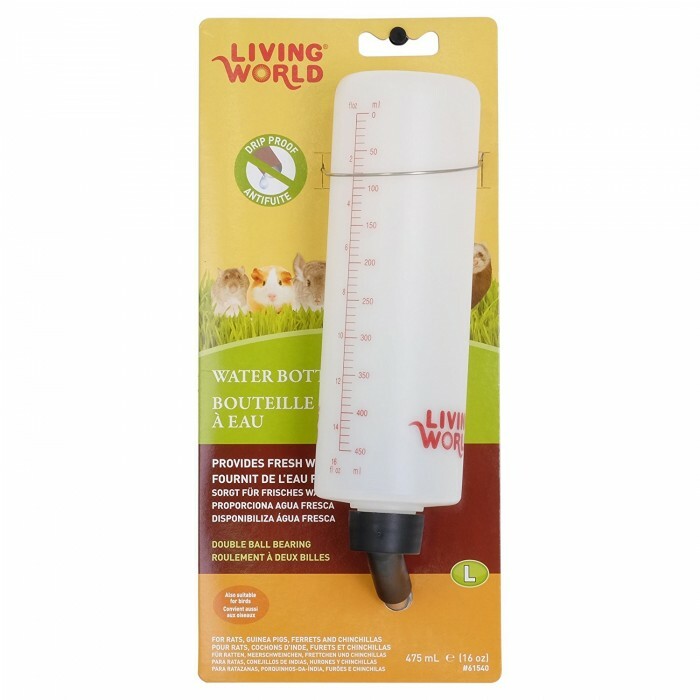 The Living World Water Bottles are designed with a drip-proof, stainless steel spout and made of durable clear plastic making it easy to monitor water levels. The water bottles attach easily to the outside of the cage with the wire holder and are easy to clean. The water bottles should be refilled daily with fresh water. Periodic cleaning with tepid, soapy water is recommended, just rinse thoroughly before refilling with fresh water. 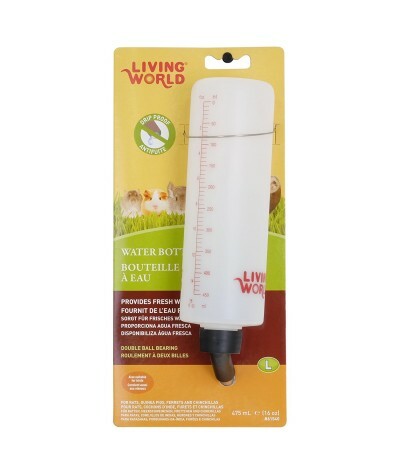 It is suitable for rats, guinea pigs, ferrets, chinchillas and even for birds.